A commemoration volume issued to honor the late co-founder of the Buddhist Publication Society, Ven. 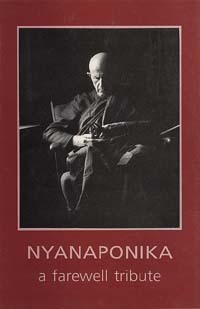 Nyanaponika Mahathera. Contains a life sketch, bibliography, appreciations, documents, with nine photos.